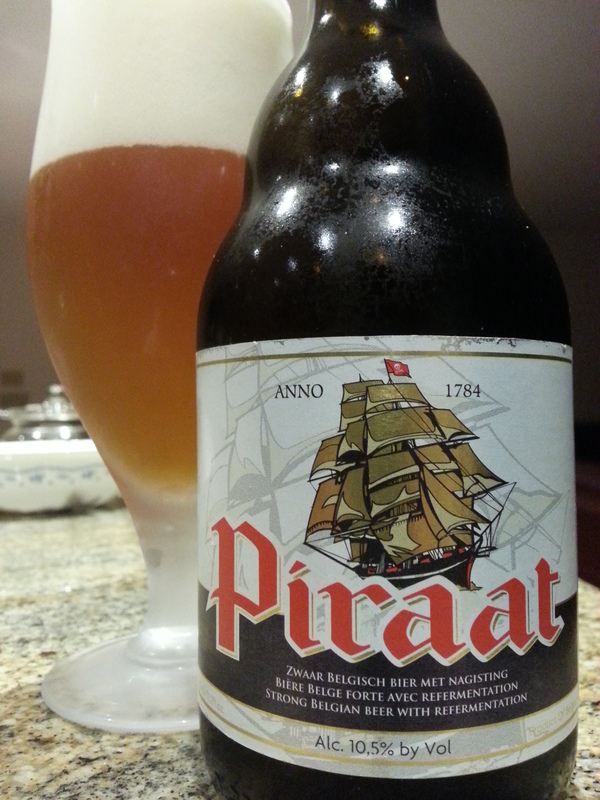 Piraat 10.5% – Van Steenberge (Ertvelde, Belgium) | Justintoxicated. Visual: This is the heavier 10.5% ABV bigger brother version. Pours golden-orange with a massive long-lasting super creamy beautiful large head, clusters of steady streams. Finish: mild alcohol bitterness, residual warmth, spiced honey exhale, super soft hopped boozy finish. Summary: So Strong!!! Fuller and more flavourful than the 9.5% I reviewed earlier. Get this one instead, if you can handle heavy beers.